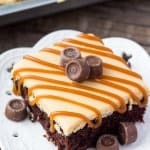 These Mini Cheesecakes with Salted Caramel Sauce are made in a muffin pan so there’s no extra equipment needed. With a graham cracker crust, smooth & creamy cheesecake, and spoonful of salted caramel – they’re always a hit! 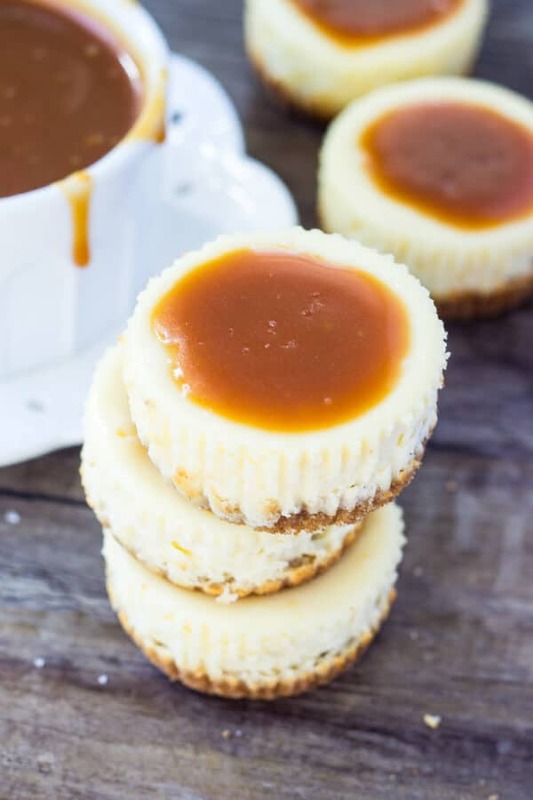 Today I’m sharing these Mini Cheesecakes with Salted Caramel Sauce over on Oh Sweet Basil. I absolutely love cheesecake, and any dessert in miniature form is always a huge hit. 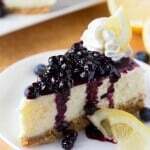 So needless to say – I’m pretty enamoured with these individual cheesecakes. They’re made in a regular muffin pan, so you don’t need any special equipment. And better yet, the cook time is shorter than making a regular cheesecake in a spring form pan. To start off, they have a thick graham cracker crumb crust. The crust is made from stirring together graham crumbs, a little sugar, and some melted butter. Then it’s pressed into the bottom of a lined muffin pan. Seriously, if you love the graham cracker crust as much as me – then you’re in for a treat with these. Then to make the cheesecake layer cream cheese, sugar, a little vanilla, sour cream & some eggs are beaten together. 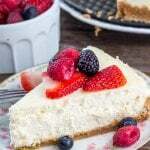 Make sure all the ingredients are room temperature before you get started (this helps prevent cheesecake lumps), and add in your eggs last (this helps to reduce the chance of your cheesecakes cracking). Then we spoon the cheesecake on top of our graham cracker crust, and it’s time to bake. These mini cheesecakes are creamy & smooth with that delicious cheesecake tanginess. Then each is topped with a spoonful of homemade salted caramel sauce. The sweetness of the caramel & the creaminess of the cheesecake is the perfect combination. And seriously, they won’t last long! I’ve shared lots of tips & tricks to make these cheesecakes over on Oh Sweet Basil, so make sure to head on over to get the recipe!